Ethiqana • It's Beginning to Look a Lot Like Christmas! So, it’s December and we’re all set at the Queen’s Court Christmas Market at Centre:MK – our temporary home for the next 25 days, taking us up to Christmas Eve. This is the first time ever that we’ve done anything like this and truth be told, we were a bit apprehensive when signing up to this adventure. But then, this whole journey has been a new one for us bringing with it all sorts of new experiences. The first few days have been very interesting weather-wise – it’s cold outside, it has rained mostly and the wind doesn’t help matters much at all, but it’s still an exercise well worth doing. Why, you might ask? Because as we have always stated, our goal is not just to sell. Our ultimate aim is to be able to preserve and revive these earth friendly crafts by providing sustainable livelihoods to the wonderful and skilled artisans behind these products. And what better way to tell the world (or one of the fastest growing cities in the UK, at the very least!) about our mission and show off these products than at a Christmas market? 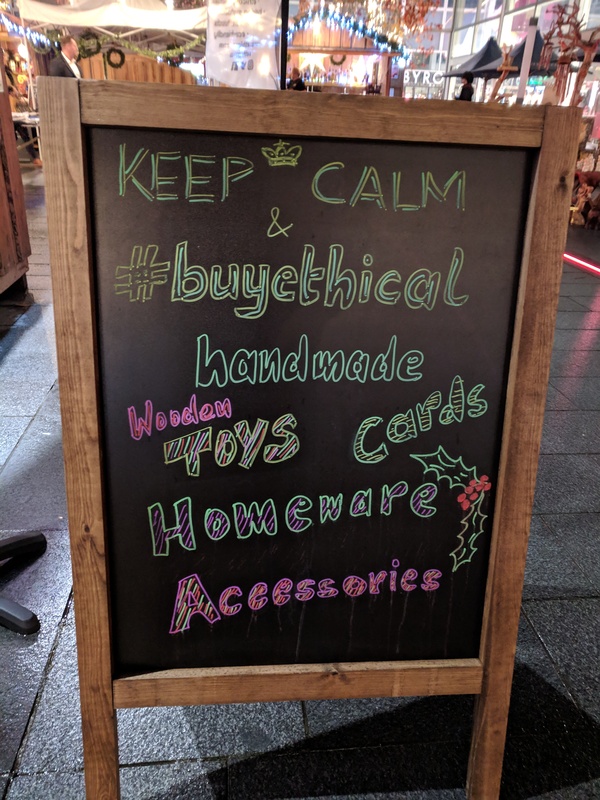 So, if you’re looking for some presents with purpose this festive season – handmade wooden toys coloured with non-toxic natural dyes, handwoven fabric home decor or accessories or some handmade greeting cards helping rebuild young lives in Rwanda – come see us. We’re sure there’s something that will take your fancy and will, hopefully, hook you on to this kind of stuff for life. Newer Sustainable Living – Buzzword or Necessity? Do You Think About Social Change? Sustainable Living – Buzzword or Necessity?